The new Nikon D5600 is a 24 mp SLR camera and ideal for the dental photographer. 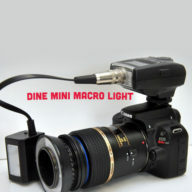 It’s extremely light weight and works great with our mini ring and point flash with macro lens. The Nikon D5600 works great with Dine’s TTL Ring and Point Flash as well as the Tamron 90mm macro lens with dental standardization guide. This camera provides live running video during picture taking and includes complete instructions for dental use. The D5600 also has built in WIFI connectivity for communication with tablets and phones (wireless card still required for computer communication). All Dine camera systems come with lifetime telephone support from dental photography experts. Our goal is for this camera to function as a reliable dental camera the day it’s delivered to your office. Also available able a complete kit with the following accessories…. ***This kit includes Dine’s Mini Ring and Point Flash. The Mini Flash is a superb enhancement to our traditional Ring and Point system. 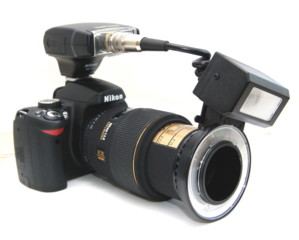 The Mini Flash uses the Dine Patented Ring and Point Flash and combines it with a new power supply. 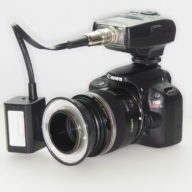 This power supply is 1/4 the size of our previous flash power supplies, making the overall camera significantly lighter,less cumbersome and easy to use. There is no photographic or use disadvantage to the new flash. 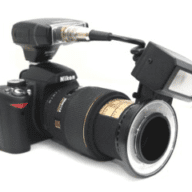 For any user looking for the lightest and simplest possible dental solution on a digital SLR, the Mini Flash is a much better choice than our traditional Ring and Point Flash or generic Ring Flashes on the market.